Graffiti can range from someone's initials written on a wall in pen to a whole painted mural covering the side of a building. 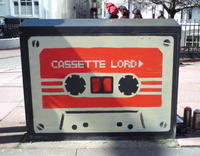 It is illegal to graffiti on any surface without the owner's permission. Graffiti can also encourage further antisocial behaviour including flyposting and the dumping of waste. We will remove offensive graffiti on both public and private property. Call us on 01273 292929 so we can remove it as quickly as possible. Offensive graffiti is cleaned off or painted over within 24 hours. Our graffiti and jet washing team use a variety of methods to clear graffiti from across the city. This includes the use of chemicals, high pressure water jets and cherry pickers. They work on a schedule, clearing graffiti from one area of the city at a time. We’re responsible for removing any graffiti on council property such as council offices and council owned park and streets furniture including lights, signs and benches. We also work in partnership with businesses and utility companies who have street furniture. This includes Virgin Media with their green exchange boxes. 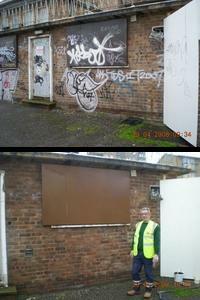 We are not responsible for clearing graffiti on private property, including private households and business premises. However, we do try to help where we can and work with property owners, local action teams and community groups to prevent and remove graffiti from wherever we can. If you have graffiti on your property, we ask that you please report it online and include as much detail as possible. We will then respond to you with any advice and help we can provide. When looking to prevent and remove graffiti from your property, please consider the points below. 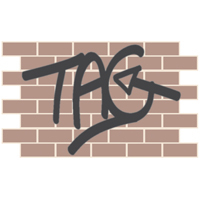 You can find companies who will remove graffiti in Brighton & Hove in local directories. You can read more about how we'll work with partners to monitor and measure the impact of these targets in our Graffiti Reduction Strategy (PDF 594KB). We work with a number of artists, charities, clubs and businesses in dealing with large graffiti hot spots. By painting large murals or landscape pieces anti-social behaviour and further graffiti is often stopped. This scheme is in partnership with Virgin Media and encourages businesses, residents and resident groups to keep an eye on green exchange boxes near them. We supply the paint and brushes for anyone who would like to adopt a box and keep it graffiti free. This in turn often helps reduce the amount of graffiti, litter and flyposting in the area. At the moment over 200 boxes are adopted across the city. This project is organised in partnership with the Youth Offending Service. It encourages young offenders to give something back to the community by helping to paint green exchange boxes which are often graffitied on. This again helps stop further graffiti in the area.